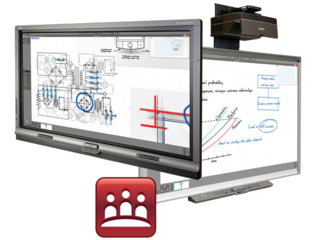 This powerful visual collaboration software allows users to create and capture ideas in the virtually unlimited interactive Unbound Workspace, as well as make notes over any available application, keep meetings organized and easily communicate outcomes. Don't bother erasing. Just keep working. There are no space restrictions to the workspace. Insert images, hyperlinks or other files you need to work on. 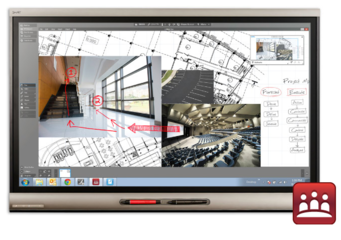 Write in digital ink, zoom in and out using gestures and pan across the workspace. SMART Ink 3.1 lets you write in any application you're using, whether it be PDF, PPT or industry-specific software like AutoCAD. Just pick up the pen and start writing. Windows 10 is fully supported. The touch is precise, so work keeps flowing. Whatever you're doing – writing with a pen, dragging content or zooming in – the software responds accurately with no lag. Connect up to 16 displays to the same workspace. Write a note on one display and it shows up on all the others at the same time. Work takes on a life of its own. Don't be limited by space. Pan the screen over and you'll have more space to keep writing on, while staying in the same file all the time. Navigate back to earlier content using the map at the top right of the screen. Some projects need more people. Bring them all into the project. Wherever they are, you can connect each display to the same workspace. So your team in London can write their thoughts and your team in New York will see them appear immediately. Sync your Microsoft Office calendar with SMART Meeting Pro meetings. 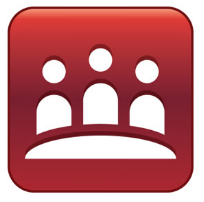 Access attachments, the agenda and view the attendee list, as well as have the notes sent out automatically after the meeting if you wish.